The SKG 1500-watt steam floor mop works on most surface types including, tile, wood, vinyl, laminate, and even carpet. One great thing about this steam mop is that it’s chemical-free, so you can use it on any surface in your house and not have to worry. The hot steam kills 99% of germs and bacteria, parasites, ticks, and fleas. 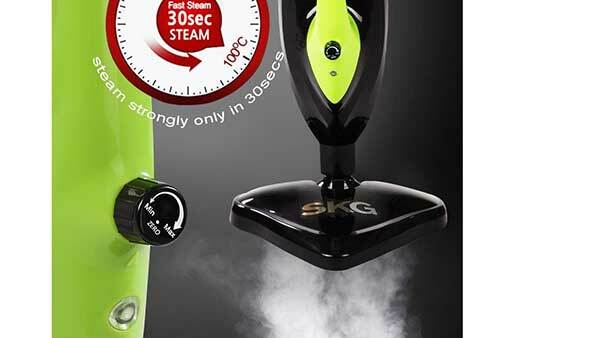 The hot steam dissolves sticky residue, and allows the mop glide to smoothly over any hard surface. 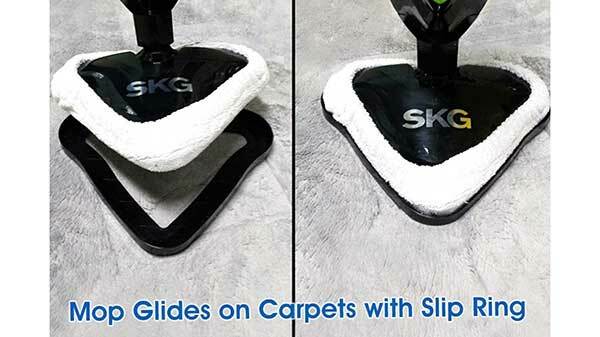 The newest SKG microfiber steam mop works on any hard surface type, and even has a carpet glider attachment to clean and refresh carpet. The lightweight design, along with the versatile attachments, make the SKG ideal for cleaning kitchen floors, bathrooms, windows, countertops, stove tops, furniture, or any surface. The mop has preset steam level settings optimized for each floor type. You can also manually control the steam, so if you come to an especially dirty or stick area, you can increase the steam level. 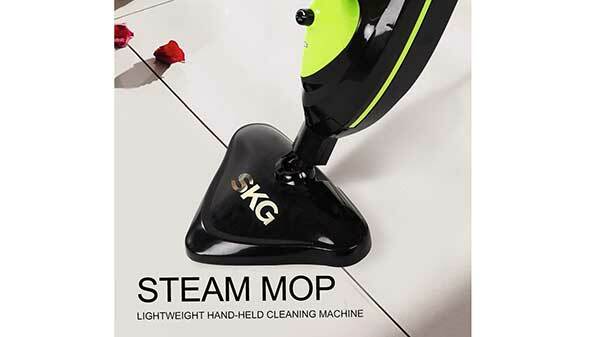 For the latest product and pricing information for this SKG mop amazon.